Bryan Berg is a very extraordinary individual to say the least who is passionate about building amazing structures out of playing and trading cards. One of his favorite parts of the process however is the demolition of his incredible creations. 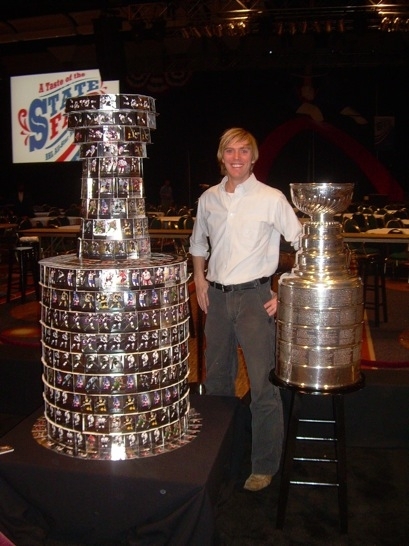 Known as the Cardstacker, Bryan creates a variety of impressive structures at events around the world. Bryan has worked with Upper Deck in the past and he has an appreciation for our products. As we discussed the 25th Anniversary of Upper Deck, he had an idea of a cool build he wanted to do that would involve a fun demolition, and like that he was off to work on this creation. He was good enough to get the entire build, demolition and rebuild all on video, check out his tribute to Upper Deck’s 25th Anniversary!